Fatty liver occurs when triglyceride--a form of fat--accumulates within the liver cells. This condition, also known as steatosis, may lead to persistent inflammation and liver damage. Although most fatty liver is caused by excessive alcohol intake, obesity, or excessive dietary intake of fat, certain medications can also cause fatty liver. Discontinuation of the medication in these circumstances typically halts further progression and may allow for reversal of fatty liver. Reye’s syndrome is a rare but serious illness that typically develops in children as they convalesce from a viral illness. Brain swelling and rapid accumulation of fat in the liver characterize this potentially life-threatening syndrome. Aspirin has been implicated as a cofactor in the development of Reye’s syndrome and its effect on the liver. Amiodarone is a drug used to treat abnormal heart rhythms. This medication is metabolized primarily in the liver. The American Gastroenterological Association notes in their “Medical Position Statement: Nonalcoholic Fatty Liver Disease” that amiodarone may cause fatty liver. Diltiazem belongs to the calcium channel blocker group of drugs. It is used to treat high blood pressure and angina (heart pain) caused by spasms in the blood vessels that supply the heart. The liver metabolizes diltiazem. In some people, this drug may cause steatosis. Glucocorticoids are steroid medications with potent anti-inflammatory effects. Two common glucocorticoids are cortisone and prednisone. 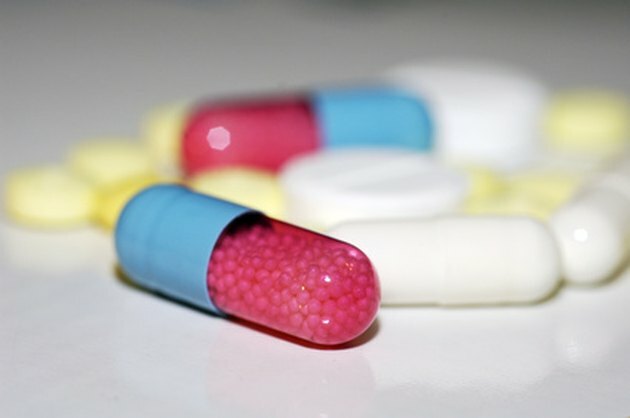 These drugs are used in a variety of inflammatory conditions including rheumatoid arthritis, psoriatic arthritis, systemic lupus erythematosus, psoriasis, serum sickness, sarcoidosis, idiopathic thrombocytopenic purpura and ulcerative colitis. Glucocorticoids can cause fat accumulation in the liver. Methotrexate is a powerful medication, which interferes with the normal metabolism of cells. It is used to treat certain types of cancer, psoriasis and rheumatoid arthritis. Liver toxicity, including the development of fatty liver, is a possible side effect of methotrexate. Tamoxifen is an anti-estrogen medication. It is used for the treatment of breast cancer. The liver is the primary site of tamoxifen metabolism. The American Gastroenterological Association advises tamoxifen may cause fatty liver and an associated hepatitis. Valproic acid is an antiepileptic medication. It is metabolized almost exclusively in the liver. Valproic acid carries a warning mandated by the U.S. Food and Drug Administration advising of the risk of liver toxicity associated with use of this medication. Fat accumulation is one of the possible effects of valproic acid on the liver. People with pre-existing liver disease should avoid valproic acid. Periodic monitoring of liver enzyme levels to detect an adverse reaction is recommended for people on this medication. Is Red Wine Good for Fatty Liver?